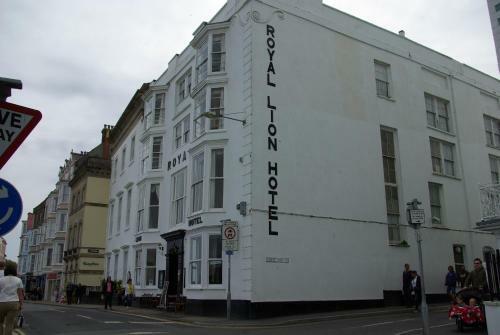 Royal Lion Hotel, Tenby, Pembrokeshire hotels with instant confirmed online booking. We have Hotels throughout Pembrokeshire , Wales . Accommodation near all the attractions, places to see and things to do.......You are able to make an instant secure confirmed online booking. We also offer information on Airports, and travel and tourist information. 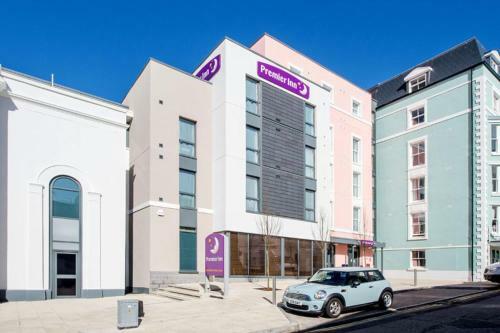 Behind the Old Town Wall, this hotel is located in Tenby, overlooking Tenby Harbour and Carmarthen Bay. It is a 5-minute walk away from Tenby Rail Station and has a cocktail bar. Each room at the Royal Lion Hotel has its own bathroom with toiletries and a hairdryer. Other facilities include a TV and facilities for making tea and coffee, and most rooms have views of the sea. Guests can have a drink at the bar and a full English breakfast is served every morning.